One of the joys of cruising is being able to wake up in a new destination every day. But with different countries comes different customs, including the bane of any tourist’s life: whether to tip or not. Just a third of Brits leave a tip whilst abroad and more than half confess to being confused by local tipping customs, according to research conducted by foreign currency provider, Travel Money Club. Don Clark, founder of Travel Money Club, said: “It is often unclear whether you should tip or not whilst abroad, it is an unspoken rule and part of local customs and etiquette, so no one actually tells you what is acceptable in each country. Different rules apply in different countries, and it’s not just the amount but the manner in which you give the reward. Here is a guide to what you should tip and where, so you have one less thing to think about when travelling aboard. 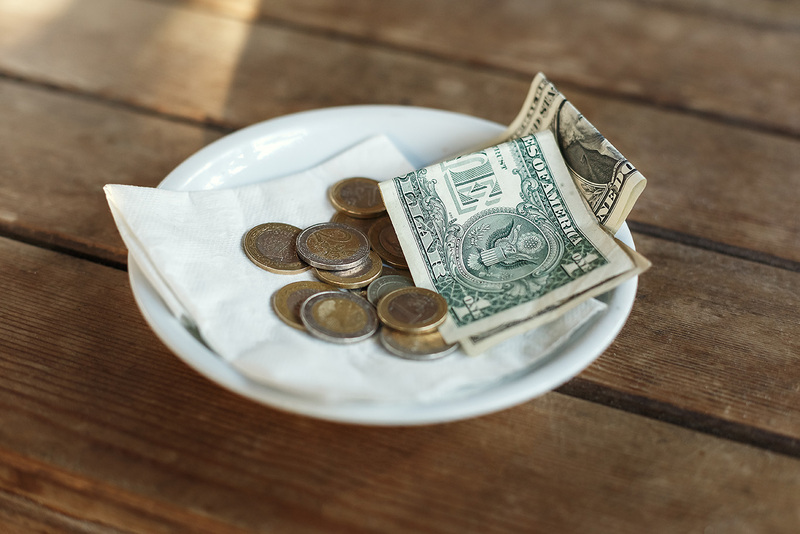 Famous for its tipping culture, when travelling to the United States a substantial tip is expected and there will be trouble if you don’t. Restaurant waiting staff, housekeepers, taxis and tour guides will expect a 10-20% tip in addition to the normal price. Make sure to account for this when accepting a taxi journey, drink or meal out. As one of the most popular travel destinations for Brits, you’ll be pleased to know that Spain doesn’t have a strong tipping culture, however, tips are accepted, and it is becoming more commonplace. A small gesture of €1 to €5 would be kindly received by waiting staff and tour guides. 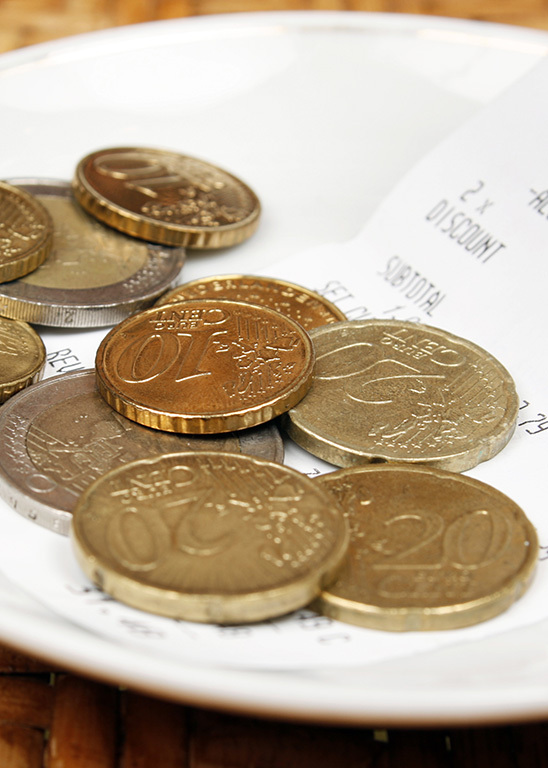 Service compris, or service charge, is included by law in France so tipping is not always expected. Where it isn’t included, a tip of 10-15% is adequate for restaurant staff and a smaller tip of €1 to €5 is ok when taking a taxi or paying for drinks. As a general rule, taxi drivers would expect in the region of 10% of the fare. Tipping in Japan is frowned upon, in fact it can be insulting, even if you feel that the level of service deserves a bonus the staff will rarely accept it. Good service is considered part of the job so rewarding it can cause offence. However, there is an exception, as tour guides often rely on tips to contribute to their wage. It is often best to discuss this discretely with the tour guide to establish a preference. Customs differ in Germany; the tip should be given directly to the member of staff and not left behind. A service charge is not included in the final restaurant bill so it is up to you to reward good service – typically 10% of the final bill. Tipping in India is very much part of the culture and everyone expects to be tipped. For the western traveller there is a dizzying number of people needing to be tipped, and a set hierarchy of tipping amounts which can be overwhelming, even though the actual amounts are very small. If you’re travelling with a local guide it may be helpful to discuss it with them and agree how to approach rewarding each person. Tipping down under is discretionary, there are no rules and it is not expected as waiting staff get paid a relatively higher wage than those in other countries. Rounding up the bill at the bar or in a taxi is common and will be a popular and polite gesture.